Another piece for the Telegraph, this one made it into the paper as well in a shortened form, see the picture for the published piece. Spoke to a few media outlets, but can only locate this conversation with CNN. Separately, spoke to the Financial Times, Reuters, and the Washington Post in the wake of the Berlin attacks late last year, to the Guardian about the terror threat to the UK, to the Irish Times about UK and European security relations post-Brexit, and the Financial Times again about UK Asia policy. The Islamic State group’s claim of the New Year’s attack on the Reina nightclub in Istanbul puts a cap on a grim year for Turkey. 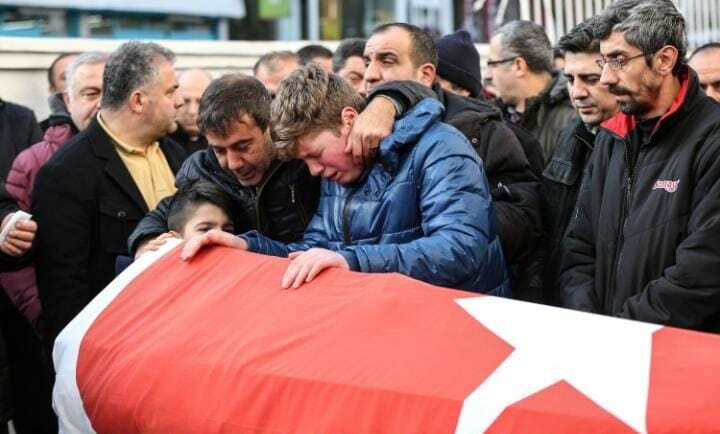 Hundreds have been killed in attacks by various terrorist groups during the year, but Isil’s (Islamic State in Iraq and the Levant) claim of responsibility of the attack nevertheless marked a new point in Turkey’s war on terrorism. Until now, the group had only formally claimed one attack in the country with others merely linked to networks around the group absent a formal claim of responsibility. The question is what is presages for the year ahead. The simple brutality of the attack has become the signature of Isil attack planning. There are a number of reasons for this. First, the group continues to aspire to launch more Paris or Brussels style attacks, but it finds itself increasingly constrained by the realities of aggressive counter-terrorism forces that expend every effort to disrupt plans at every turn. Numerous potential plots were disrupted in the run up to the end of the year, including potential attacks in the UK, France and Germany. But some still get through. Prior to Istanbul, Anis Amre, slipped through the net and was able to drive a truck into the crowd at a Berlin Christmas market. A video later emerged linking him to Isil . The degree to which he was directed, instigated or self-started remains to be determined, but his attack showed basic simplicity that Isil encourages of its attackers these days. Cognizant that large-scale attacks are more likely to get picked up on and disrupted, the group has taken a more pragmatic approach. The result is a spate of smaller scale incidents choosing seemingly random civilian targets using basic weaponry that is easier to obtain. There is also likely an element of pragmatism within the choice of target in Turkey. Whilst the group repeatedly issued menacing warnings of attacks around the holiday period, the only successful incident in Europe was the atrocity in Berlin – likely a product of a more difficult operating environment. In contrast, in Turkey, the group has networks and access to weaponry. On top of this, Turkey has increasingly turned its firepower against the group. Operation Euphrates Shield was launched by Turkish armed forces in August 2016 which aimed to fight both Kurdish and Isil groups in Syria. And within Turkey, authorities have taken an increasingly more aggressive approach. Earlier in the day of the Istanbul attack, Turkish police arrested eight alleged Isil members in Ankara who they suspected of planning a New Year’s attack. The men were part of a group of 63 that Turkish authorities swept up in the 3 days prior to the attack. ISIS has responded with violence. In November, the group claimed its first attack in Turkey with a bombing in Diyabakir targeting security forces, something that came immediately after a speech by Abu Bakr al Baghdadi in which he directly threatened the country. In December it released a video which purported to show two Turkish soldiers being burned alive. In claiming the recent attack, it specifically linked Turkey to the ‘crusader’ alliance – placing Ankara on the other side of the clash of civilizations that ISIS sees itself in. But it is also clear these are not the first atrocities against Turkey – repeated previous incidents have been linked to ISIS networks in the country. For example, early intelligence showing up in the Turkish press has been linking the Istanbul attacker with the same network that attacked Istanbul’s international airport in June of this year. Whether this link will be proven in due course is unclear, but the possibility reflects repeated statements by Turkish authorities that have blamed terrorist atrocities in the country as the responsibility of ISIS. None of this portends a positive immediate future for Turkey. While authorities have shown a capacity to disrupt networks within their country, they have faced numerous attacks in the past year. If Isil is turning it attention in a more focused way on Ankara, given the proximity to the group’s remaining Caliphate as well as the clearly substantial networks linked to the group that exist within the country, then it seems likely that more will unfortunately get through.